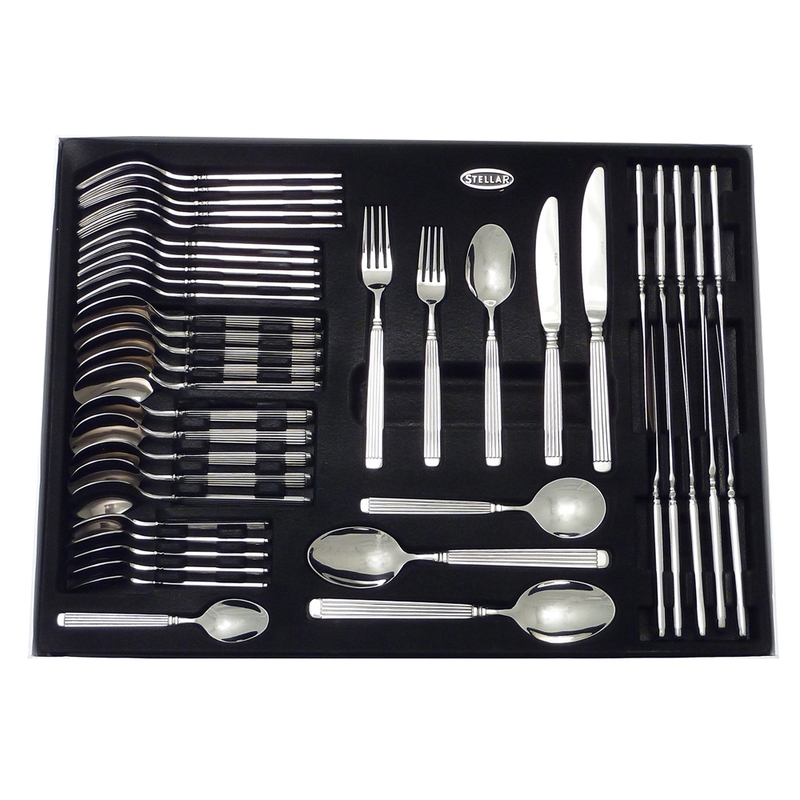 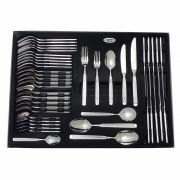 Set includes, 6 table knives, 6 table forks, 6 soup spoons, 6 tea spoons, 6 dessert knives, 6 dessert forks, 6 dessert spoons, and two serving spoons. 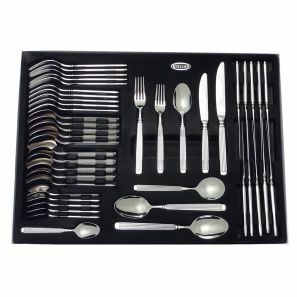 Beautifully crafted from highly polished 18/10 Stainless Steel, Stellar Cutlery is classically designed to be appealingly and distinctive in a table setting. 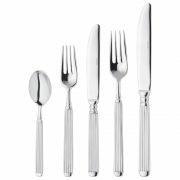 Carrying the Stellar Lifetime Guarantee, it is easy to care for - the high grade Stainless Steel will keep it's sparkling finish long into the future and best of all, it's dishwasher safe.